When you’ve played Kingdoms of Middle Earth for a couple of months, sit on millions of might, maxed out your four cities and are comfortably inside a big supporting alliance, it is easy to lose perspective on how things were when you started playing this game. I was reminded of this fact by a new player in our alliance, who I am helping out on growing as fast as possible. This inspired me to write some articles on the basics of the game, starting with this one. 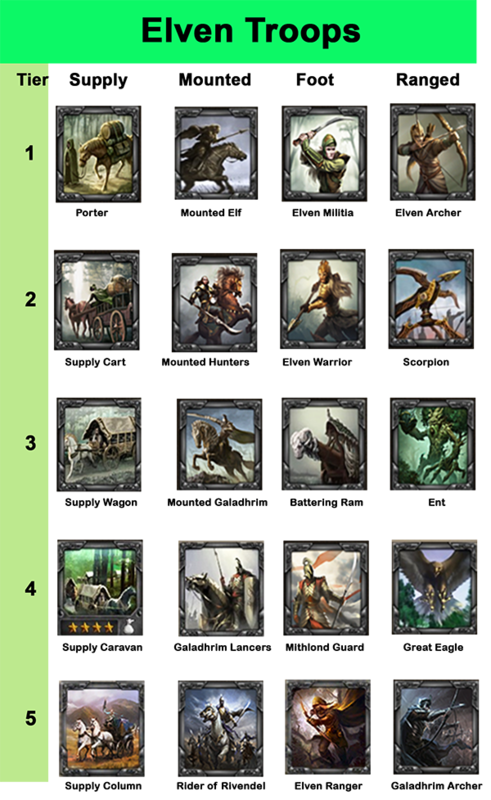 This entry was posted in Articles, KoM 101, War and troops and tagged dwarf, dwarven, elf, elven, Kingdoms of Middle Eart, KoM, tier 1, tier 3, tier 4, tier 5, tier2, troops, warrior by beardmonkey. Bookmark the permalink. 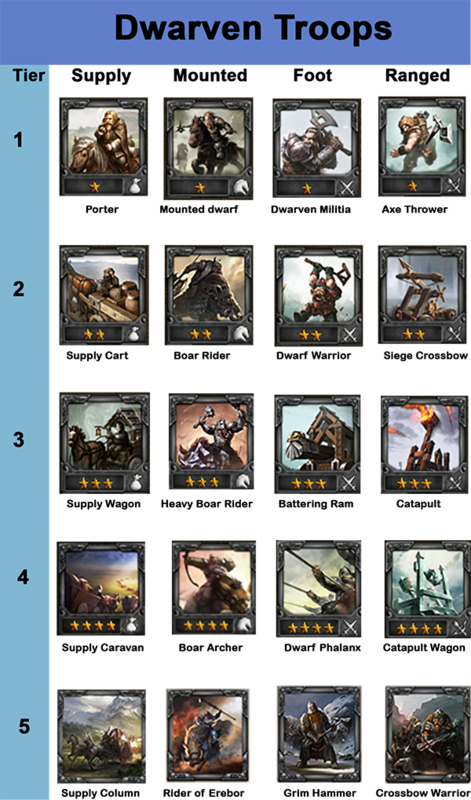 Where can I find info on what troops to send to counter-attack dwarves (weak against, strong against)? I’m Elven & want to make sure I’m being as effective as possible. Will the list also include tactile troops as well? What about training costs, for those that can be trained? Could you put in the goblin/enemy troops, I see them when I attack, but I haven’t calculated/written them down yet. why doesnt t5 have upkeep and speed stats? I know upkeep is 36, but cant find speeds anywhere! Ill add it in…been a while, and didnt have the numbers at the time…thanks! This is all well and good but could add in their might because at this stage I can’t calculate required numbers of level 4/5 troops due to lack of might info. Noted. Will add some more description later on.